A certified nurse assistant’s primary role is to care for patients. Duties will involve feeding residents, transferring them from bed to chair, and assisting with bathing and dressing. Since the job is a difficult one that is filled with strenuous activities and long hours, the turnover rate in the industry is tremendously high. CNAs also advance their education to become medical assistants, licensed practical nurses, or registered nurses, which also contribute to the high turnover rate in the sector. Nursing homes and hospital employers have a continuous need for CNAs to fill vacant positions. Several long-term care facilities host free state-approved training to recruit new employees and increase interest in direct patient care at this entry level. 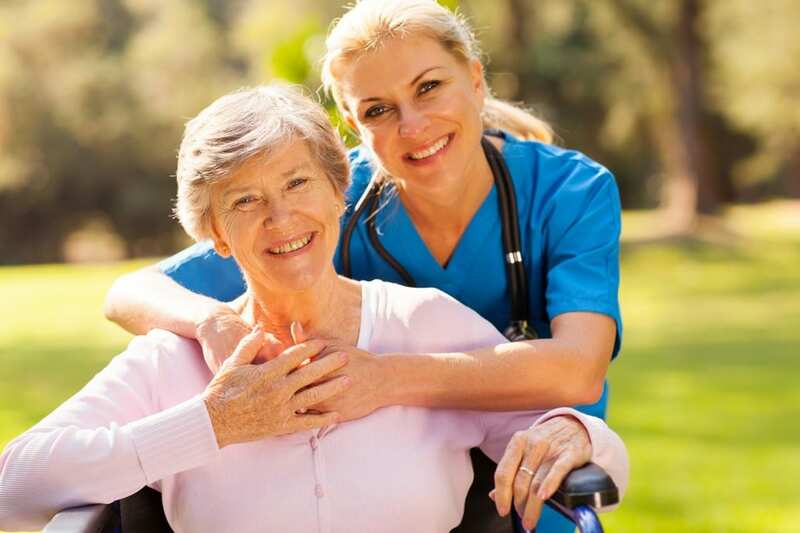 Certified nurse assistants in Baton Rouge can anticipate numerous job offerings in rehabilitative and restorative care where there’s an urgent need for employees to care for aging seniors and persons suffering from chronic and debilitating diseases. Practical and registered nurse instructors at Pelican Training Institute are committed to the success of nursing assistant students. The school stands out as one of the best in the region due to graduates’ high pass rate. The combination of lecture, hands-on practice, and technology-based training prepare graduates for success in the world of work. The curriculum comprises of 40 hours of classroom training and 40 hours of clinical practice at The Guest House in the Baton Rouge area. Classroom topics include anatomy and physiology, infection control, safety and emergency procedures, range of motion, personal hygiene, role of the nursing assistant, death and dying, and communication skills. During the clinical phase of the program, students will have the opportunity to put their learned knowledge and skills into practice. Classes meet 4 days a week for 6 weeks. The Certified Nurse Assistant training program at Advanced Healthcare Institute is approved by the Department of Health and Hospitals. The DHH-approved curriculum covers 80 hours of training: 40 classroom hours and 40 clinical hours. Experienced, state-approved registered nurse and licensed practical nurse instructors use audio-visual equipment and a flat screen TV for demonstrations in the classroom and a wheelchair, hospital bed, IV pole, and other medical equipment in the simulated lab to help students develop their clinical skills. Health coursework includes body systems structure, infection control, communication and interpersonal skills, safety and emergency procedures, basic nursing skills, introduction to health care, and CPR. Applicants must be 18 years or older with valid identification, pass medical tests including a physical exam, drug test, and TB test, and pass a criminal background check. Classes meet from Monday through Friday from 8:00 am to 4:30 pm for two weeks. New classes begin every month. The total program tuition of $830 includes registration, tuition, books, liability insurance, uniform, TB skin test, physical exam, drug test, and final exam fee. Six weeks is all it takes to complete the nursing assistant training at Camelot College. The 80-hour curriculum includes instruction in the classroom and clinical lab. Students learn how to assist nurses in hospitals and long-term care settings. Students have the option to take the course as part of the Medical Assistant training or as an accredited short-term course that is not eligible for financial aid. Prospective students must be enrolled in the medical assistant program or have related work experience with positive character references. Successful completion of a criminal background check and drug screen are some other requirements for entry. Once admitted, students must attend all 40 classroom hours and 40 hours of clinical practice and earn a minimum 2.0 GPA by the end of the program. Graduates will be awarded a certificate of completion that will award them the privilege to practice as a Certified Nurse Assistant in Louisiana. The Certified Nursing Assistant training at Baton Rouge Community College equips students will the competencies to work in long-term care facilities, hospitals, and home healthcare agencies where there’s a need for bedside care. The curriculum covers 80 hours of training in the classroom, skills lab, and long-term care facility in accordance with the state’s requirements. Classroom topics include body structure and function, introduction to health care, safety and emergency procedures, communication skills, infection control and medical terminology. Students also learn job search and readiness skills, including an introduction to computer skills for the healthcare industry, job seeking, the interview process, and resume writing. Applicants must submit all the required documents before the first day of class and meet with the course instructor. Prospective students must be admitted to the college, have documentation of CPR certification, have a Compass Reading score of 62 or above, and sign the student liability statement form. Clinical requirements include passing a drug screen, TB test, and criminal background check with fingerprinting and meeting the immunization requirements. All students must be 16 years or older. Criminal convictions, including violence or distribution of drugs and mistreatment of the elderly or infirm may result in denial of admission. Graduates will receive a certificate of completion and will be recognized as Certified Nurse Assistants in Louisiana. The nursing assistant program at Aspire Medical Training Academy runs for five weeks and prepares students for employment in a hospital, nursing home, home health agency, or long-term care facility. The curriculum covers 80 clock hours: 40 hours of instruction in the classroom and 40 hours of supervised patient care in a long-term care setting. Classroom sessions are evenings only from 4:30 pm to 9:30 pm Monday and Wednesday. The clinical training takes place in the final week and runs for five days – Monday through Friday. Course topics will include communication and interaction with patients, basic nursing skills, medical terminology, anatomy and physiology, and infection control. During the clinical rotation, students will measure vital signs, collect specimens, assist with medical exams, and demonstrate sensitivity to patients’ needs. Applicants must be at least 18 years with a high school diploma or GED. Registration must be initiated at least two weeks before the class to complete the criminal background check. Students must attend all classroom and clinical sessions to graduate from the program. Pre-clinical preparation requires students to arrive 15 minutes before each scheduled clinical session. Job placement assistant is available to all successful graduates, but jobs are not guaranteed. Other state-approved nursing aide training providers that offer free or paid training in Baton Rouge, LA.